The stylish 'Do it Once' roofing upgrade for your garden buildings. 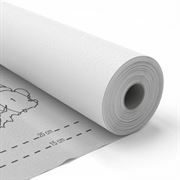 The Onduline Mini Profile sheet is made with lower 24mm corrugations utilising the same proven manufacturing process as used on the classic Onduline sheet. Manufactured from the same material and to the same high specification as Onduline sheets. Our Onduline Mini Profile nails are available in Black, Red & Green. Designed to match the Onduline Mini Profile, these polyethylene units seal the corrugations at eaves and ridge, preventing the ingress of water, dust and draughts. Apron flashings are designed to seal the gap between Mini Profile sheets and vertical wall abutments.